Why hasn't social gambling taken off? Why hasn’t social gambling taken off? Do you play free online casino games? Silver Oak Casino has them, but a lot of people turn to Facebook to get there fix of fun. But what was once described as the saving grace of the online gambling industry is really just another channel for free entertainment – and not necessarily a great one. Five years ago, the world claimed that social gambling – gambling on Facebook specifically – would take over the world. No longer would you have to download casino software to your Mac, PC, or mobile device. Simply install an app on Facebook and you’re good to go. But that hasn’t really come to fruition. While standalone casinos have exploded with the creation of cross-platform channels for gambling, social gambling options have been left behind. Here’s why. When you play games on Facebook, you’re constantly interrupted by other social media activities, like messenger and status updates. When you’re playing poker or Blackjack, you don’t want to be interrupted. 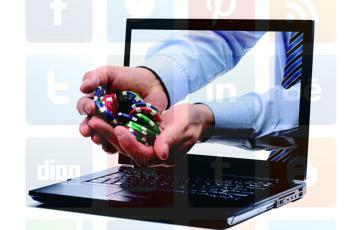 Have you tried playing social gambling games through Facebook or other social media channels? It’s way slower than playing on a standalone machine. In fact, even if you’re on a super-fast PC, it can often feel like you’re playing on a Pentium 286 from decades ago. That’s because you’re going through Facebook servers, not a standalone server. Sure, there’s virtual currency. But real money Facebook casino gambling is limited to just a few markets. For most people on the planet, if you want to make the leap from free play to real money games, you’ve got to start all over and find a place that lets you do both (like Silver Oak Casino, for example). Do you know why companies love creating Facebook apps? Because when you install an app, you aren’t just asking for rights to use the app. You’re also giving the app creator rights to tap into your friends list. Not all apps work that way, but I’d say about 99% of them do. With social gambling casinos, who knows if you can trust them. At Silver Oak Casino, when you sign up for an account, your information stays private. And when you follow us on Facebook, we don’t have access to your friend’s list. Is there room in the market for social gambling apps and standalone casinos? Of course. Experts thought that online casinos would kill the land-based industry, but they tend to complement each other, driving traffic back and forth to one another. So social gambling definitely has its audience. We just happen to think our show is better.